Perfect for interventions, extra practice, and reading words in context! 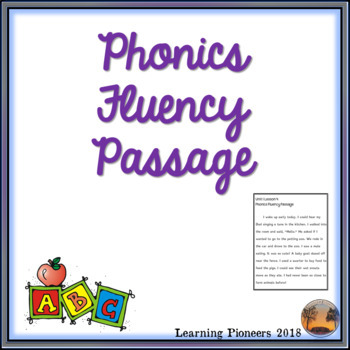 This passage includes most of the phonics words for Journeys Unit 1 Lesson 5 as well as many high frequency words that students are expected to know in second grade. This passage focuses on the words with the consonant blends r, l, and s.
Check out this phonics worksheet to complement this fluency passage.